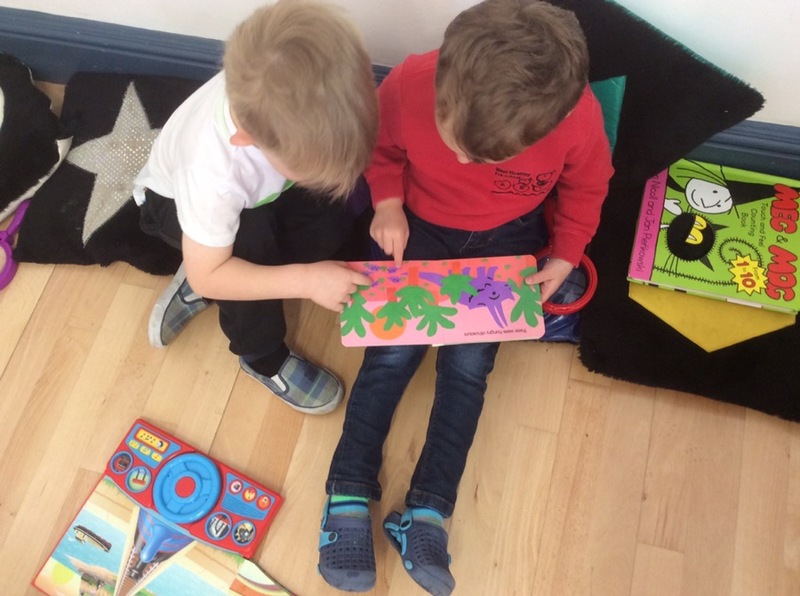 We’re happy to be back at preschool and looking forward to the Summer Term. We have been doing lots of interesting things with dinosaurs so far this week. 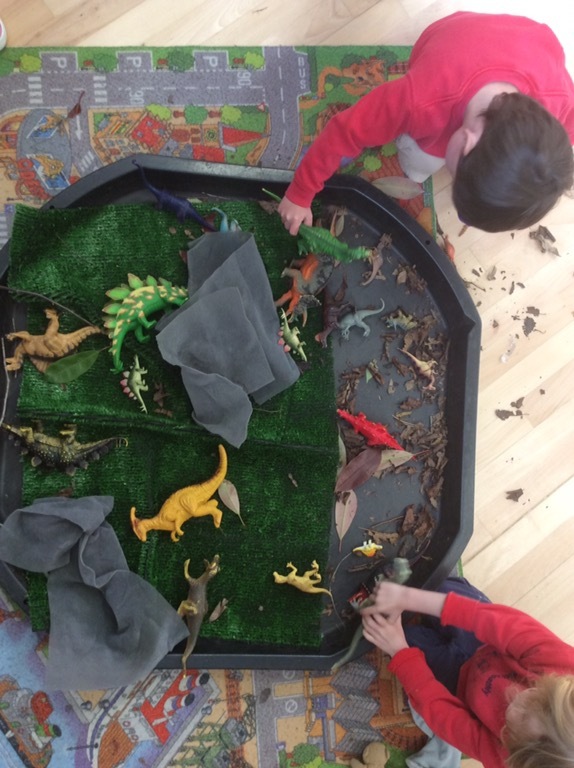 We have a tuff tray full of leaves and twigs for the small world dinosaurs to explore. Lots of imaginary play has been going on over here, and lots of roaring! 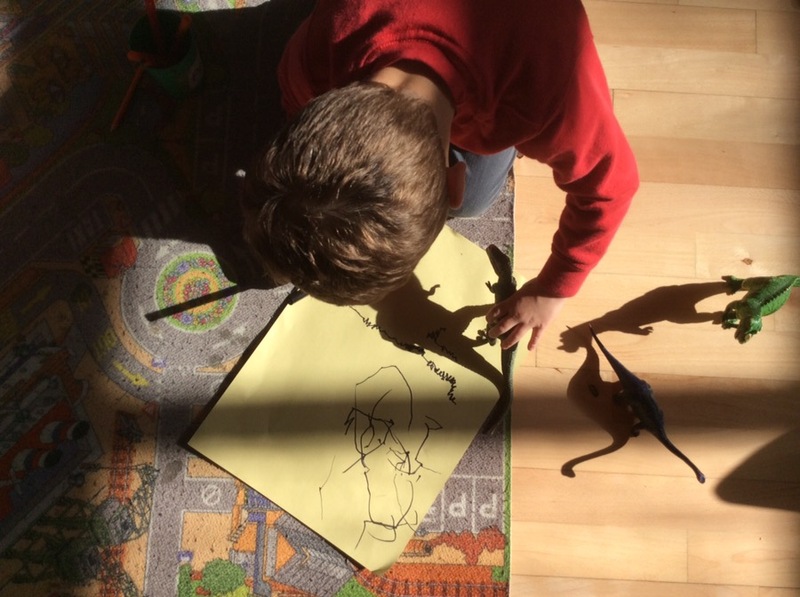 The sun was shining in through the windows this morning so we used this to create some dinosaur shadow pictures. 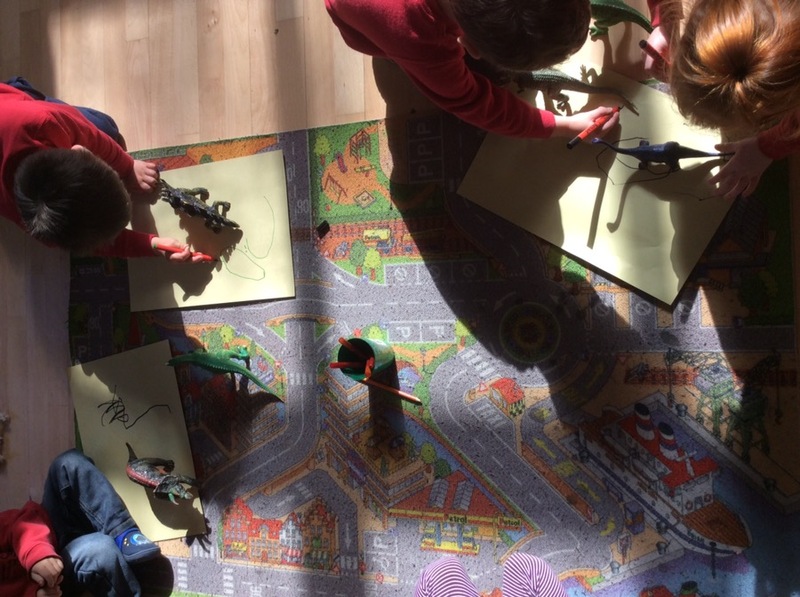 A great way for some of the children to practice their pen and pencil control, gently tracing round the bumpy edges. 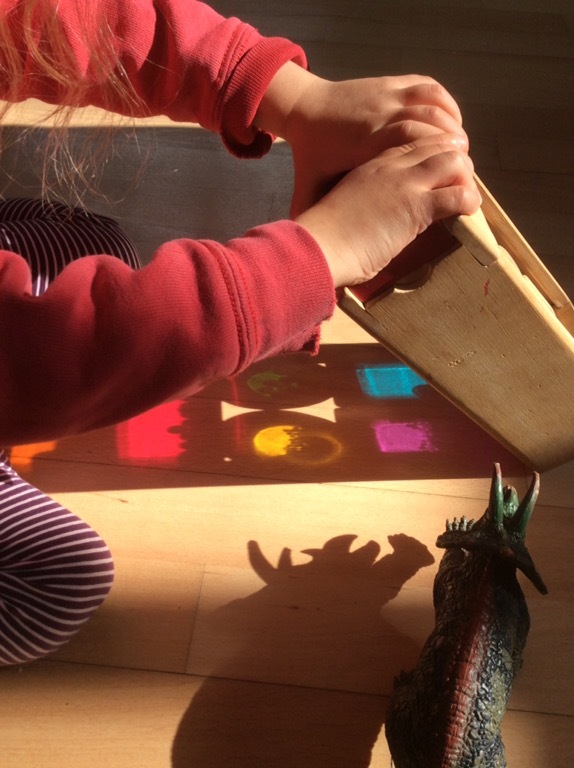 This shadow activity also lead some of the children to use one of the toys with transparent coloured shapes. They placed the toy in the sun looking at how it changed the colour of the floor. In the creative area we have been experimenting with the playdoh. 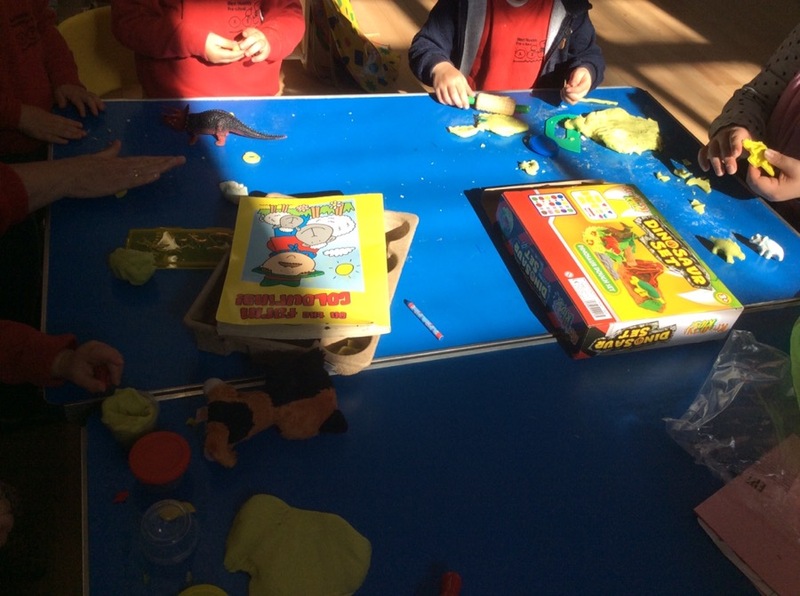 There has been lots of covering of dinosaurs, imprinting them in the playdoh and footprints. At Circle Time we looked at the size of dinosaurs. Issy helped the children measure out the smallest and largest. Today is Anzac Day in Australia and New Zealand. A day of remembrance for the Australian and New Zealand soldiers who died during the First World War. 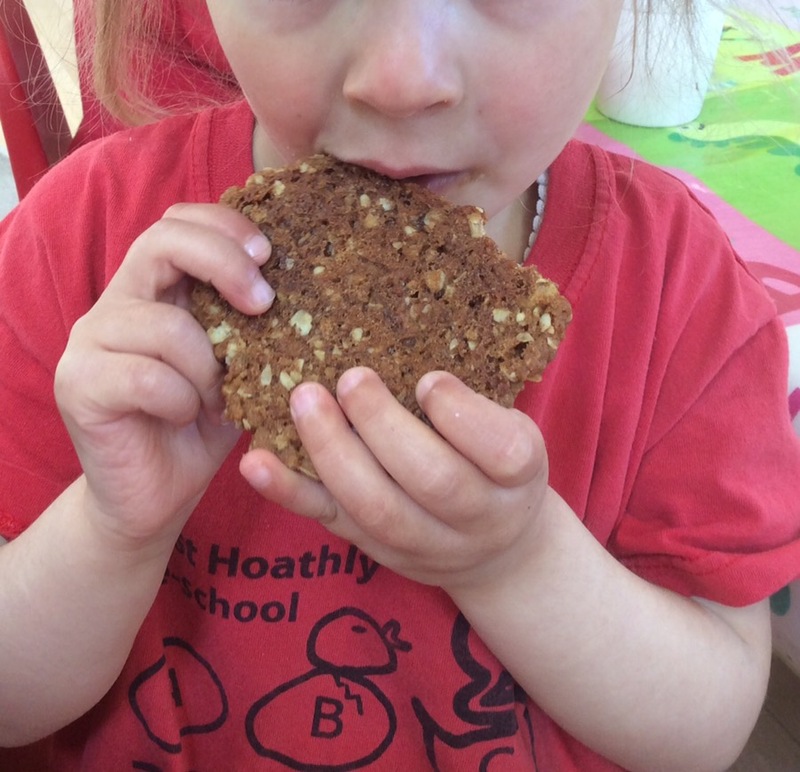 We were treated to some delicious Anzac biscuits today. Thank you to Jenny for making these for us they were a great hit with the children. Don’t forget Cygnets starts this week for the children going up to school in September. On Thursday these children will need a packed lunch and a PE kit. The session will finish at 2.30pm at the village hall. The second half of term the children will be going up to the primary school.